American Airlines is releasing up to six Business Class award seats between Los Angeles and Sydney in its best Business Class beds. The westbound award space is within one week of departure. The eastbound space is within one month of departure. American Airlines flies a 777-300ER between Los Angeles and Sydney, which features 6’3″ flat beds in a 1-2-1 configuration, meaning all of them have aisle access. This is American Airlines’ best Business Class. Award space in Business Class is available every day this week from Los Angeles to Sydney for six people each day. No other days in the next 11 months have even a single Business Class award seat. This is peak travel time, so I am hopeful that we will continue to see Business Class award space released in the last week between Los Angeles and Sydney. The return from Sydney to Los Angeles shows a different pattern. Five days in the next month have six Business Class award seats. Thirteen days in the next month have at least one Business Class award seat. No other days in the next 11 months have any Business Class award seats. FYI, the route has good award space in economy but none in first. Also FYI, American’s Los Angeles to Auckland route that launches in June 2016 currently shows no Saver award space in either cabin in either direction. If you don’t live in Los Angeles, you can still take advantage of this amazing last minute Business Class award space. You can tack on economy, Business, or First Class MileSAAver award space on American Airlines or Alaska Airlines from your home airport to Los Angeles for zero extra miles. Here are cities with American or Alaska Airlines flights to Los Angeles. If you don’t want to go to Sydney or want to fly an open jaw, you can connect on Qantas within Australia or New Zealand for zero extra miles. Here are the places Qantas flies from Sydney. American Airlines and Qantas are searchable at aa.com, so book right on aa.com. Most of this award space is less than 21 days from now. If you book an American Airlines award within 21 days of departure, you pay a $75 fee. With taxes and that fee, a roundtrip in Business Class is 125,000 miles + $180. 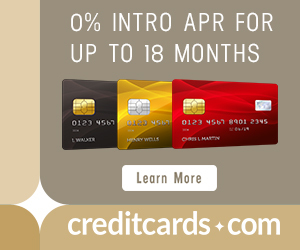 If you have the Citi® / AAdvantage® Platinum Select® MasterCard®, you get 10% of the miles you redeem rebated to you each calendar year, up to 10,000 miles rebated. That would make the net cost 115,000 miles. Pay the taxes and fees with your Citi Prestige® Card. The Citi Prestige® Card offers a $250 Air Travel Credit each calendar year that offsets your first $250 in spending on airlines with the card. Taxes and fees on an award ticket definitely count. 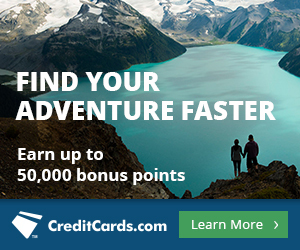 Get both cards and meet the $6,000 total spending requirement to have over 106,000 American Airlines miles. That is nearly enough for a roundtrip in Business Class to Australia. American Airlines is releasing six Business Class seats to Australia every day this week. Hopefully their generosity within a week of departure continues. From Australia, they are releasing Business Class seats up to a month before departure. For the uninitiated, how do you go about tacking on the flight from a “home” airport to LAX or adding a flight past Sydney? Found LAX-SYD space but no QF J space to PER or BME that fit with time of original flight.